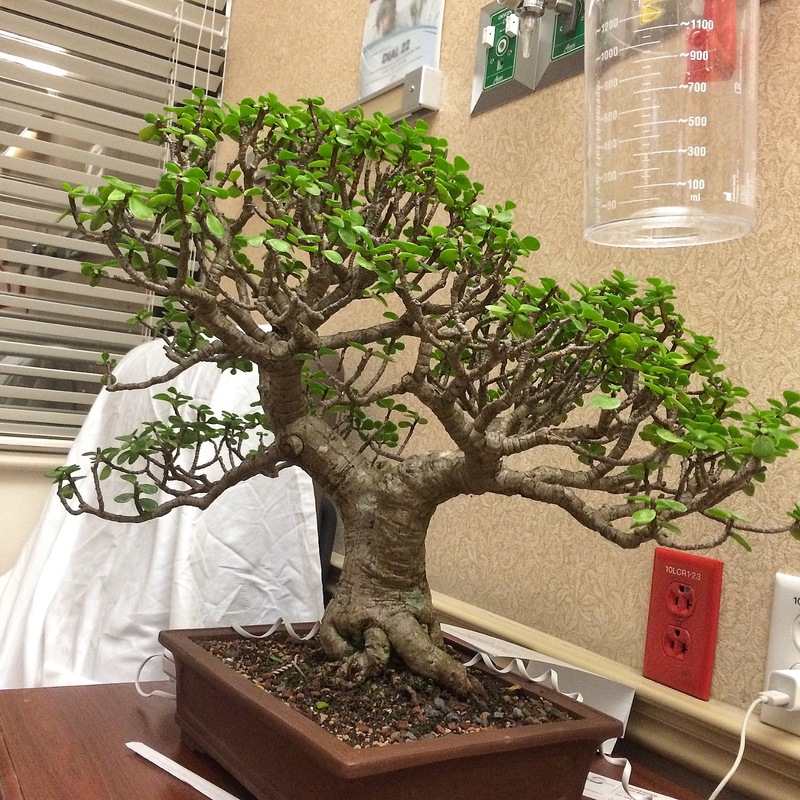 I finally got the portulacaria I had been working on in the hospital (from the last post) repotted. Here’s how you saw it last: This was how it was sitting in the pot. 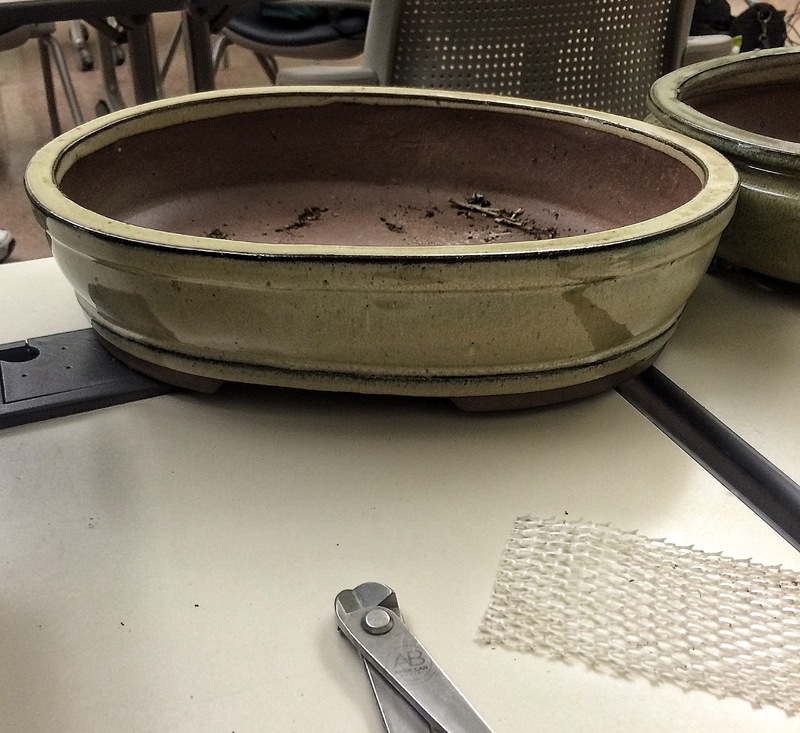 Pretty straightforward potting, widest base flat to the viewer. I had showed it in different angles in the last post to give you an idea of how just adjusting the front could change the character of the piece. I was also considering a pot change. I brought a few that might work. 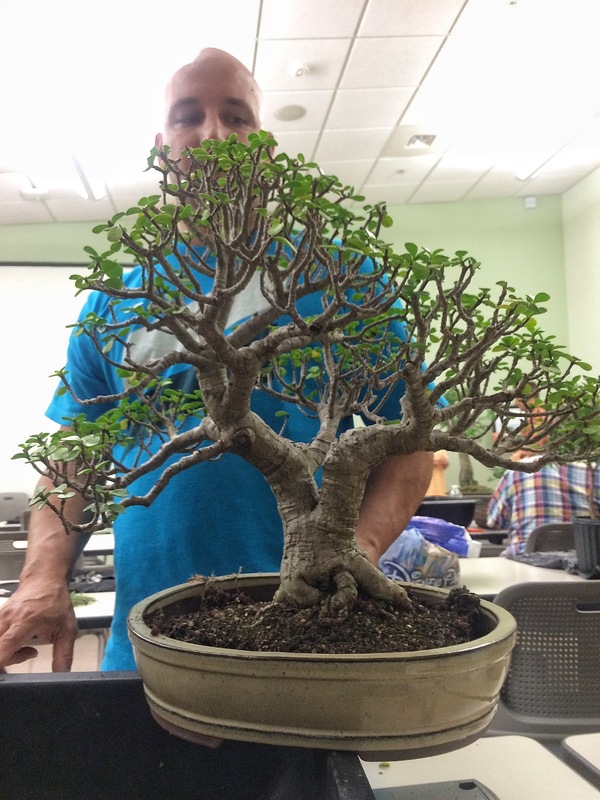 Fast forward to the CFBC meeting last week and the repot. 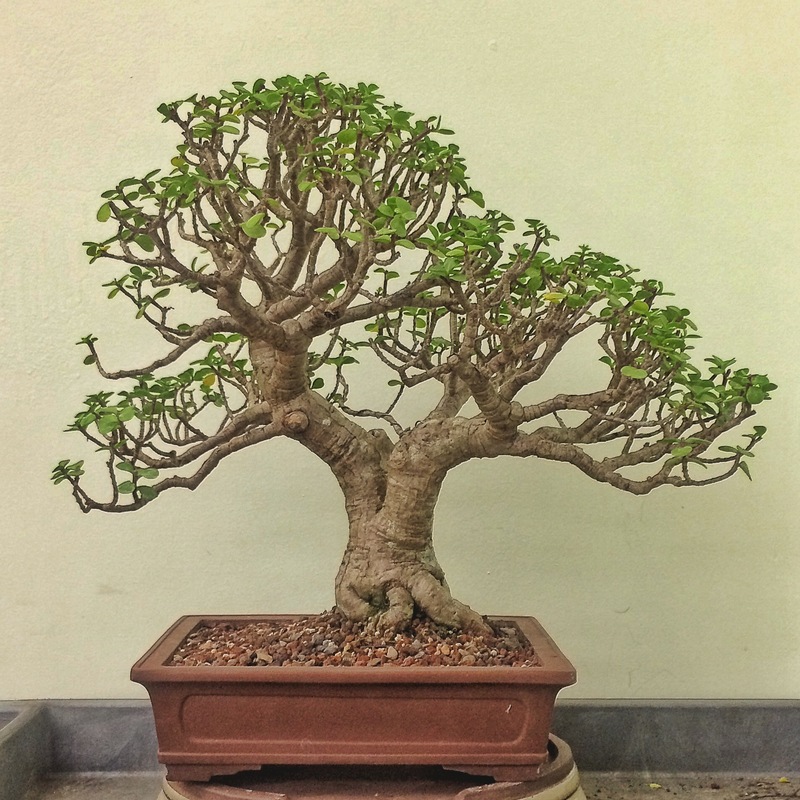 One note on repotting of established trees and dwarf jades especially: unless you are developing a branch and need vigorous growth, a repot doesn’t have to be a complete exchange of the old soil for new. 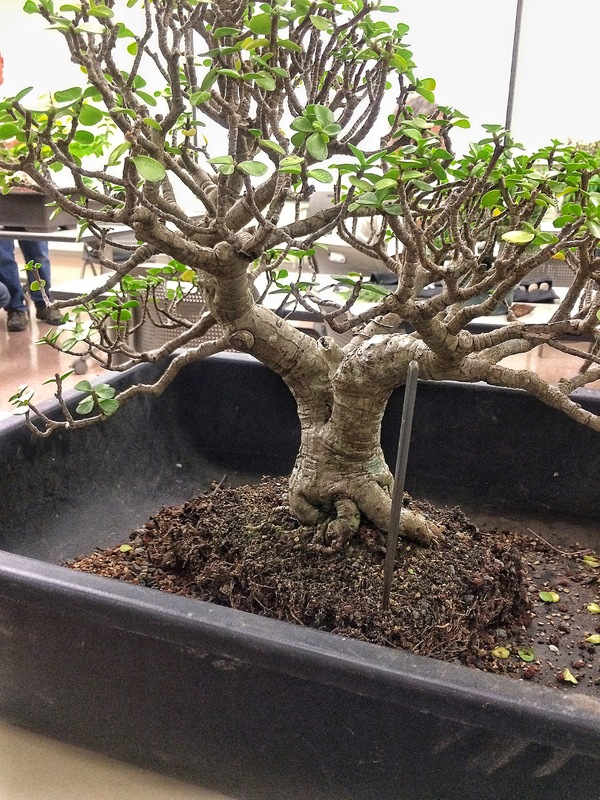 Just gently removing the outside roots and soil is sufficient to keep the tree healthy (of course, this only applies if all the soil in the pot, especially right up near the base of the tree, is bonsai soil. 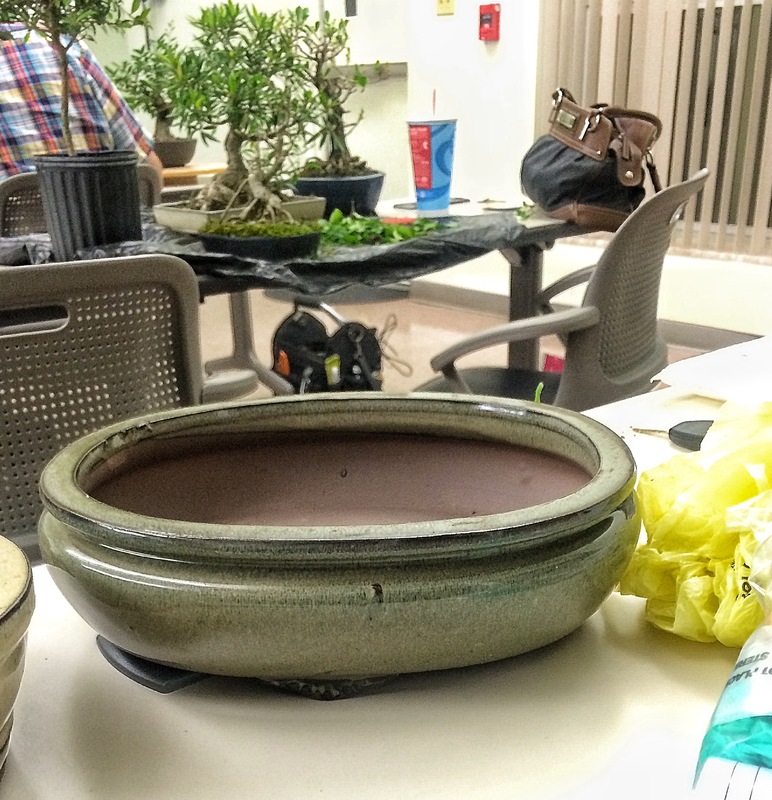 If you are still transitioning from dirt or regular potting soil, you need to continue that transition). Let’s see how the tree likes them. Hi Dave! Hmmmm…. A little small and I’m not feeling the glaze. 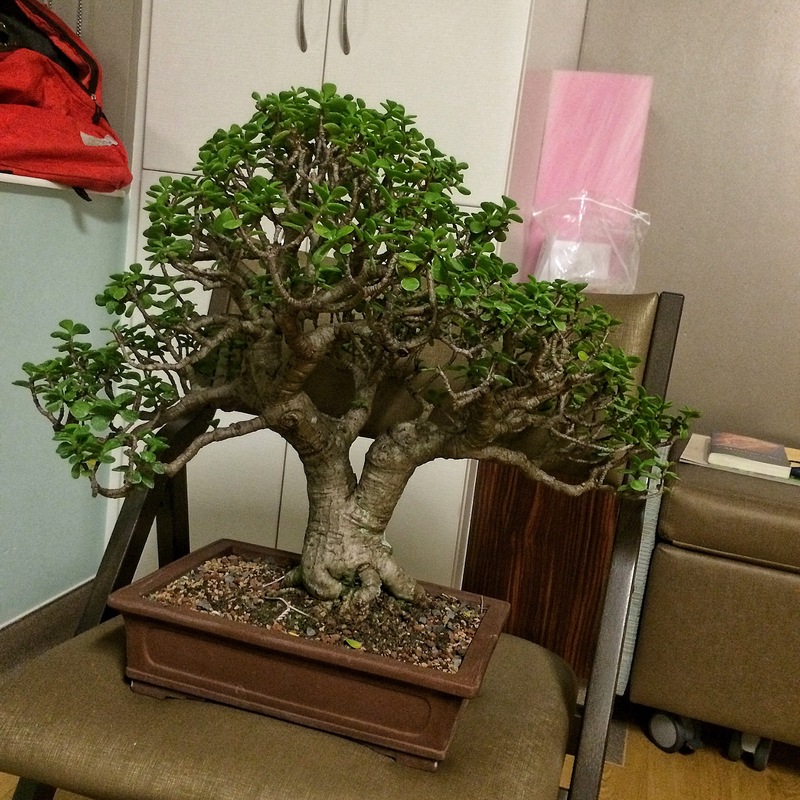 I guess it’s back into the old pot for now. Which I kinda like. It gives the tree a bit of gravitas, or formality. That’s about how I was thinking at the end of the last post, right? Speaking of the last post, I left off an important visitor when I was mentioning them; none other than Mr. David Cutchin. I’m not sure who took this picture but I stole it. 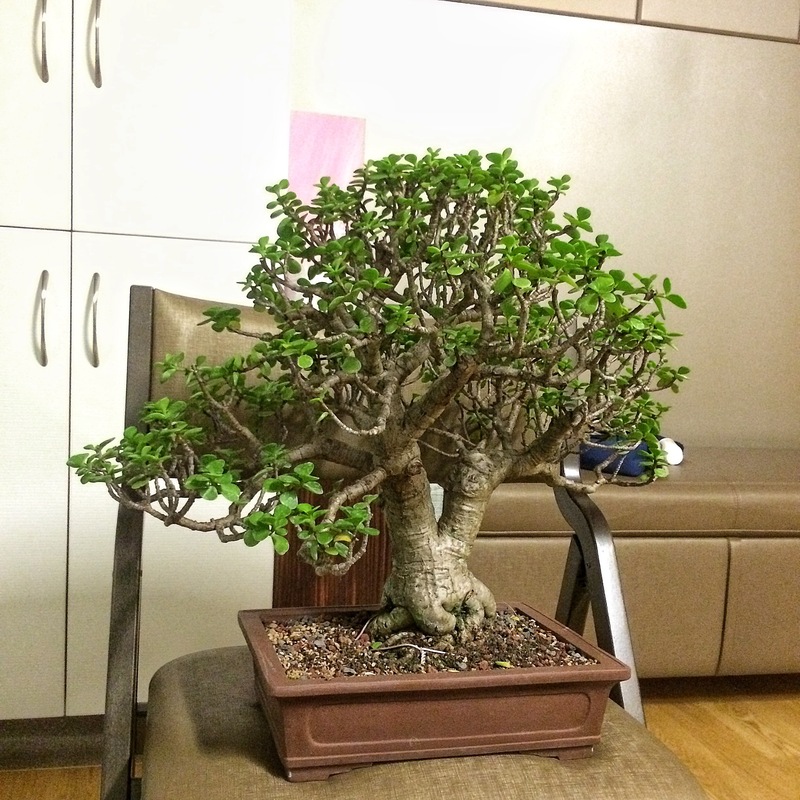 David took the time out of his heavy touring schedule from bonsai magazine photo shoots (he is featured in the current Bonsai Focus issue) to visit me during my hospital stay. 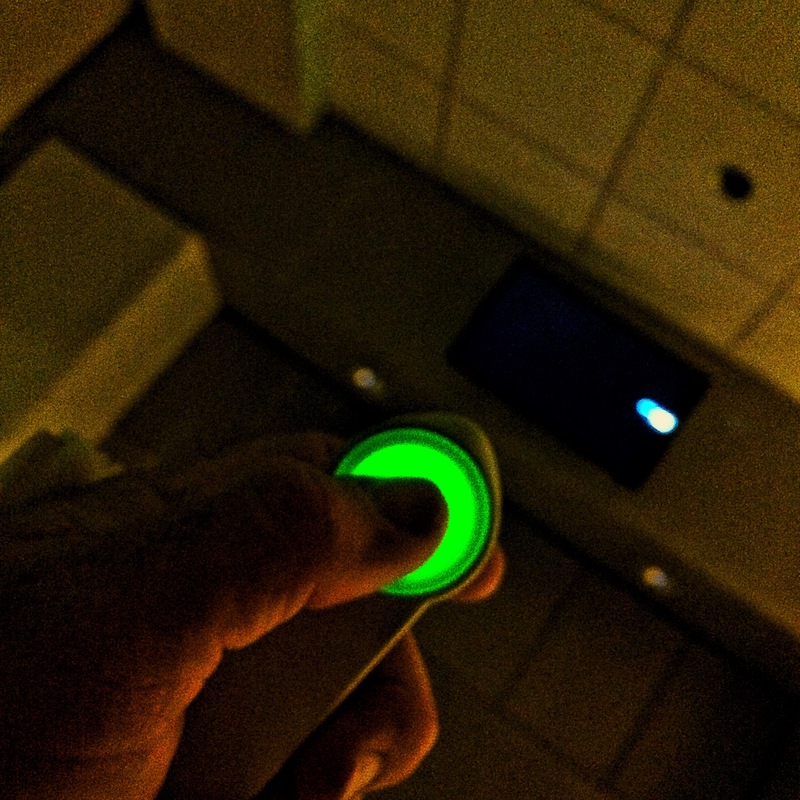 I don’t remember too much of what we talked about (I blame this: You’ll have to read that last post to understand just what that green button is). I do remember the reading materials he brought because I still have them. 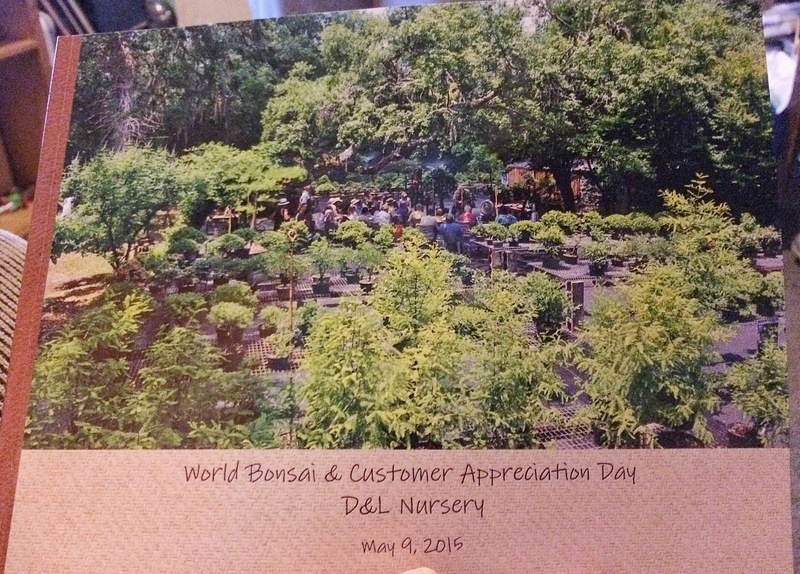 An album from D&L nursery’s celebration of this year’s World Bonsai Day. 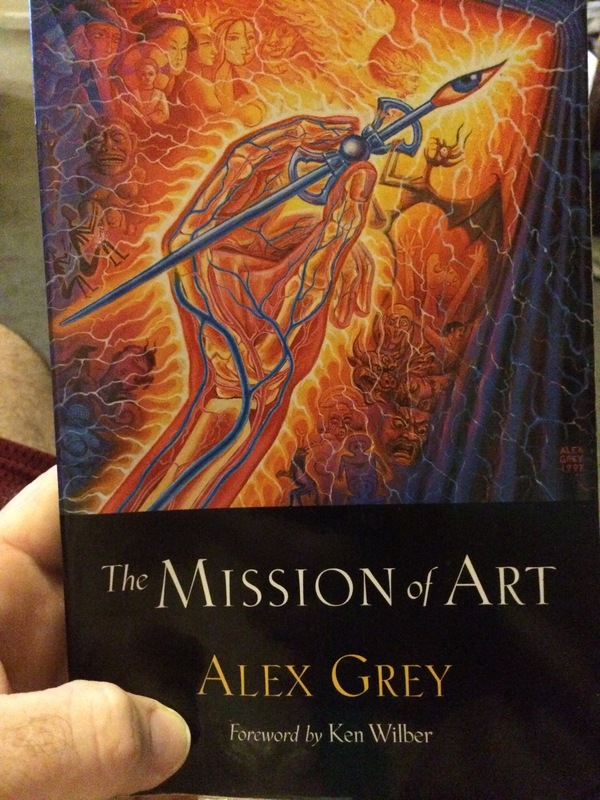 And an important book on Art philosophy by Alex Grey which is, very basically, about how art should awaken a spiritual state when practiced by the artist and, to another extent, in the viewer of that art. Deep stuff. I recommend it. It will either open your eyes or close your mind. And I’d like to publicly apologize to you, my brother Dave, for forgetting you in my drug addled haze, won’t happen again. 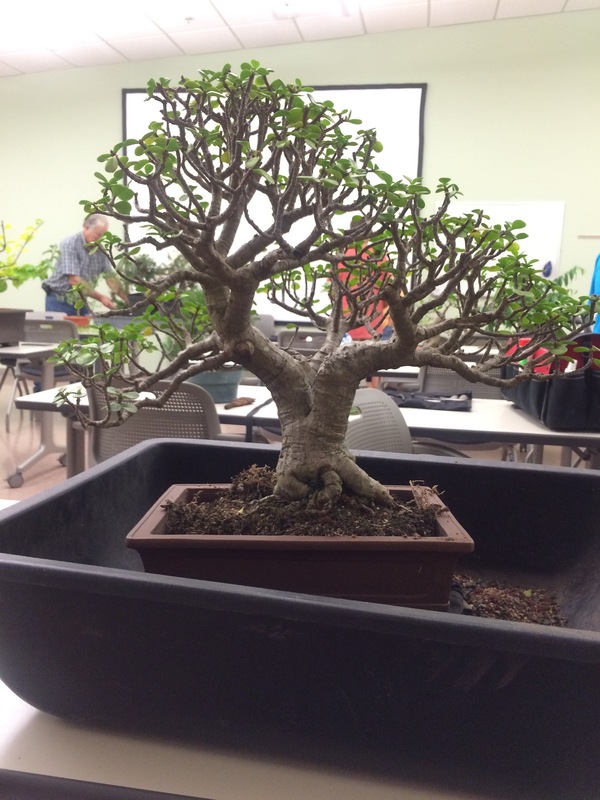 We need to get together and do some more bonsai together. Which brings us to the end of the post. 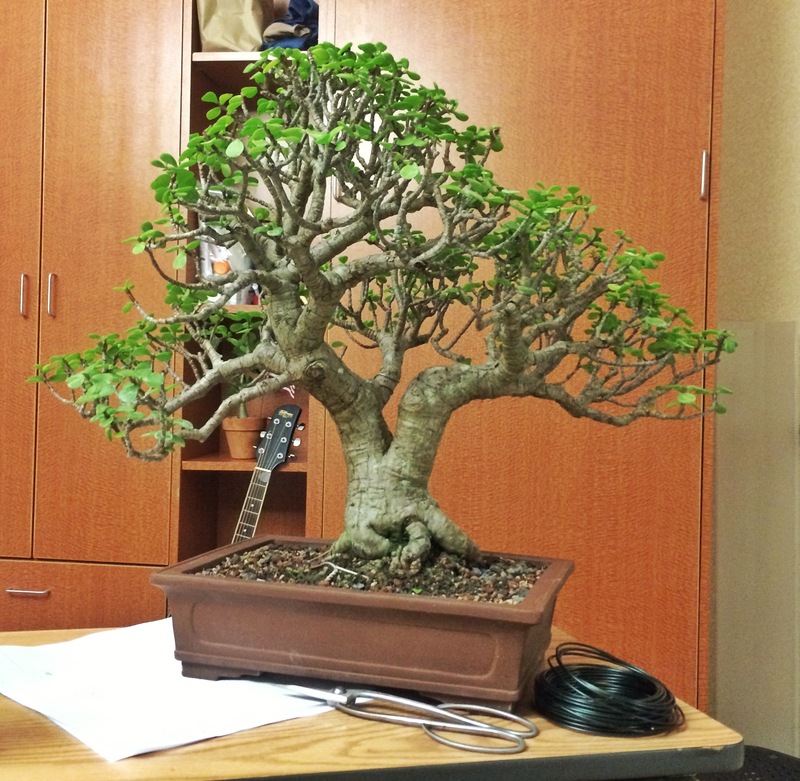 Here’s the portulacaria for your perusal. 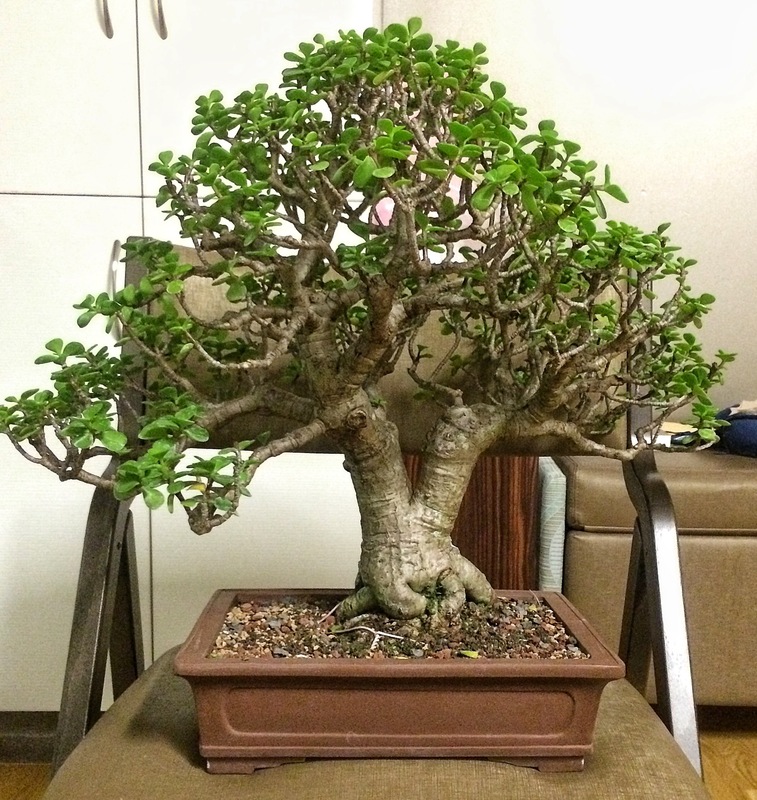 This is important: when you repot a portulacaria, do it dry and, when finished, don’t water until you see new growth on the tips. 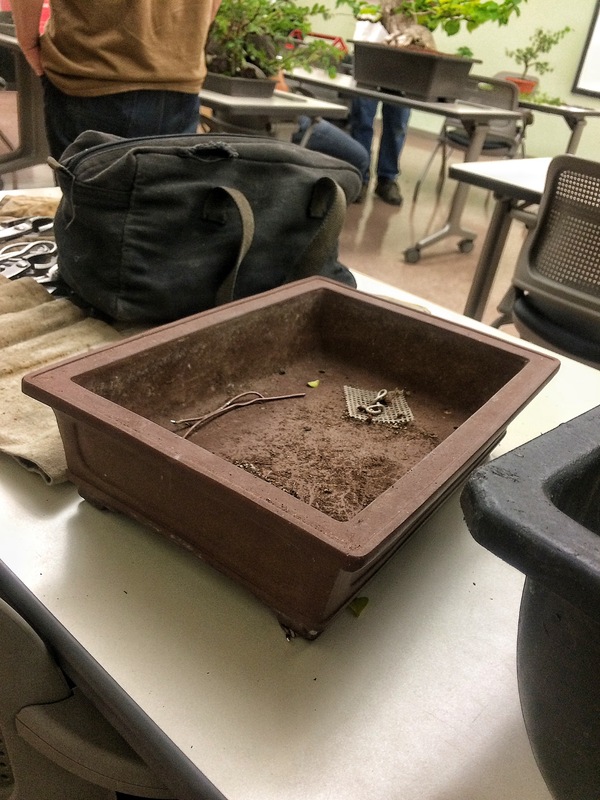 This means that the roots have calloused over any cuts you may have made, and they are growing, searching for water (opposite off most plants, which need water immediately after repotting). Make sure you check out my various social media for an update on the tree when it fills in again. Next post will either be on a ficus Benjamina (just to annoy some people) or maybe I’ll make some soup. Prev In case you’re counting, this is post #300.
nice post. 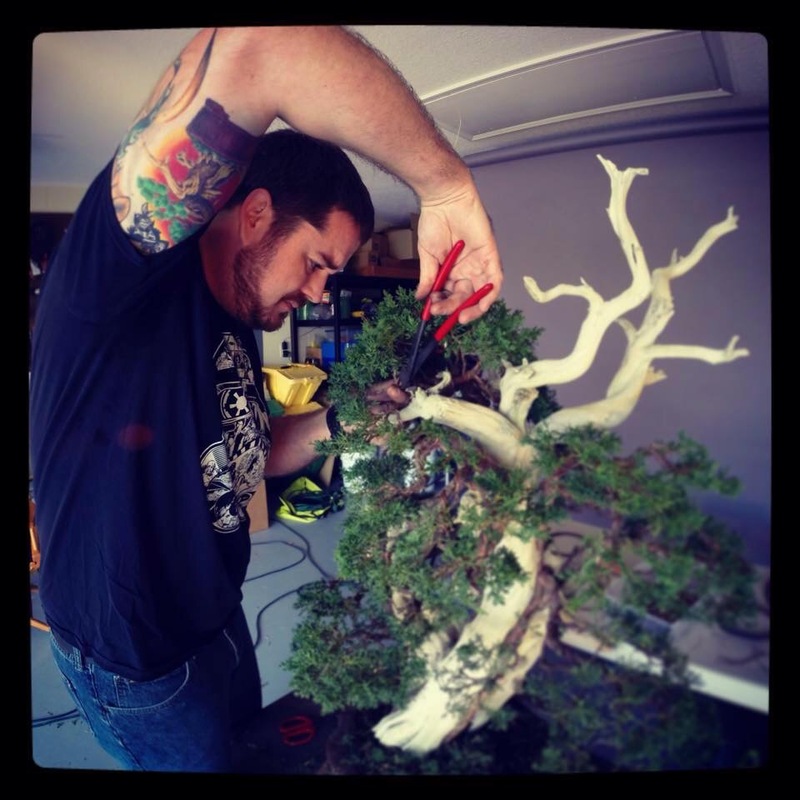 Dave has cool ink, too… after repotting, do you protect it from sun in any capacity? Since I keep it in The Nook I guess it is out of the sun. But I don’t think it needs it per se. It’s good to see that you are up and about! 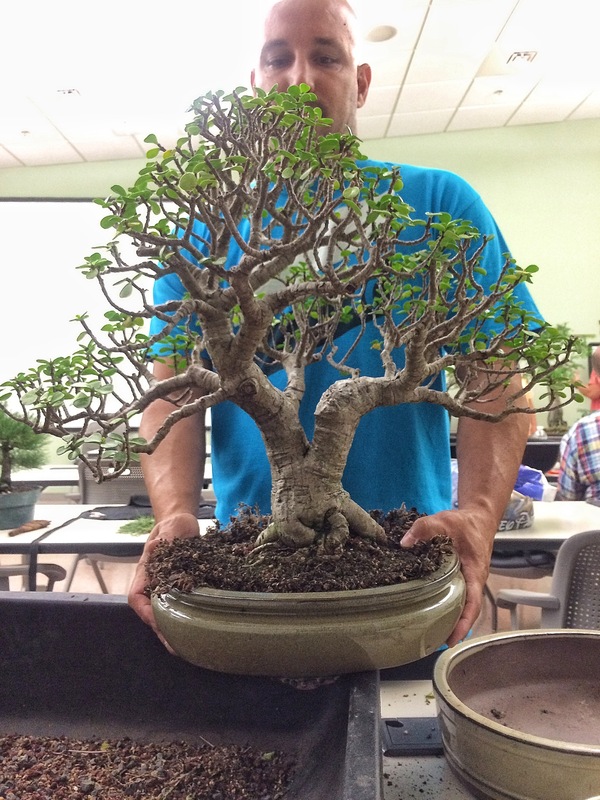 If you feel up to it, please make your next post about a Ficus benjamina.